Superintendent Kobayakawa Fuyuhiko is a naive career police officer who cannot read situations. He is transferred from the Tokyo Metropolitan Police Department�fs National Research Institute of Police Science to the newly established �ganything�h consultation office of Suginami Chuo Police Precinct�fs Community Safety Division as a result of some incident. This consultation office passes off for a new initiative to react quickly to the feedback of the public. But in reality, it is a garbage dump for people who have caused trouble and been discarded. The members of the precinct mock it as the �gZero Section�h. 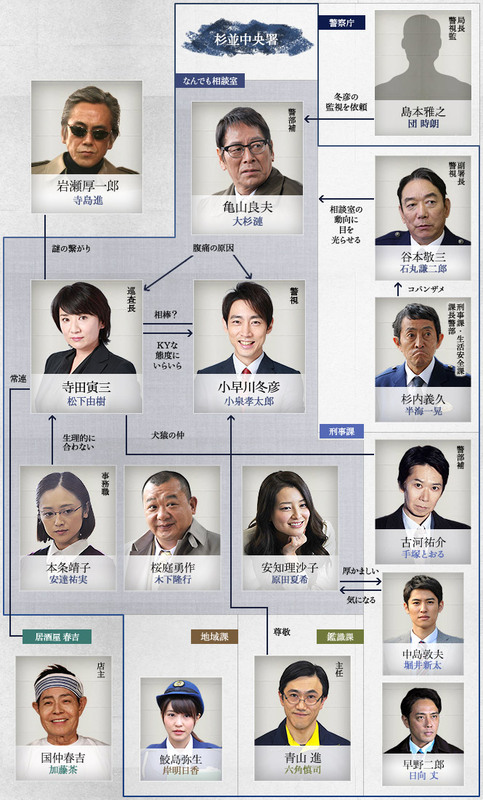 Kobayakawa�fs buddy is the strong-minded, foulmouthed veteran detective Terada Torami. The two of them who do not get along and the very individualistic members of the section solve difficult cases dashingly. With dramas like "Engine", "Gift", and "Fushin no Toki", Yuki Matsuhita has been in several good dramas. This is not one of them. Lite smårolig men inget speciellt.